The intense, sometimes hot or bitter, flavor of kohlrabi mellows wonderfully when cooked. And becomes even more delicious when cooked in this simple batter. The grating and quick cooking here brings the underlining lovely sweet flavor of kohlrabi to the fore. Best of all, that gentle flavor takes the form of delicate, tender fritters. 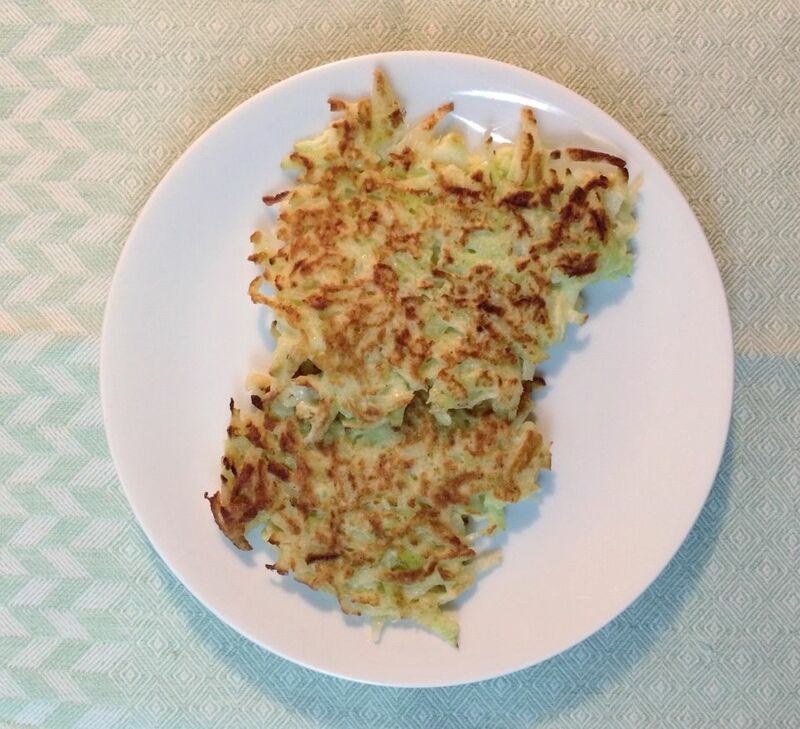 These kohlrabi fritters most naturally work as a fun appetizer, but it's also possible to offer up several as a light meal with a hearty salad and some crusty bread. Whatever part of the meal these fritters take, serve them with créme fraîche, salsa fresca, onion chile salsa, or a quick chutney made of cilantro, mint, garlic, salt, pepper, and a bit of oil and lemon juice for an extra hit of flavor and color. Peel the kohlrabi. Peel it vigorously and completely—the peel is quite tough and fibrous so don't err towards keeping any of it around. Grate the kohlrabi on the large holes of a grater into a bowl (or use the grater attachment in a food processor). Lift the grated kohlrabi out of the bowl and onto a double layer of clean kitchen towels or multiple layers of paper towels. Lift the corners of the towel(s), twist them together, and squeeze out as much liquid as you can. Seriously, squeeze hard—properly "drained" and pretty much dry-to-the-touch kohlrabi is the absolute key to ending up with tender fritters rather than leaden pancake-like flops. Crack the egg into a large bowl and beat it thoroughly with a fork—you want no strands of white clinging to the fork when you lift it from the bowl. Combine the kohlrabi and the egg. Sprinkle the mixture with the flour and salt and stir to combine thoroughly. *Smaller bulbs tend to have less of the "hot" flavor that can develop in kohlrabi. Since the kohlrabi gets grated and cooked here, larger, hotter bulbs will still work, but why not start with the most delicious material possible?